OMG I cannot believe the look in those cat’s eyes! Hopefully they will not tag team up on that baby! They must be surprised by the noise that baby is making! 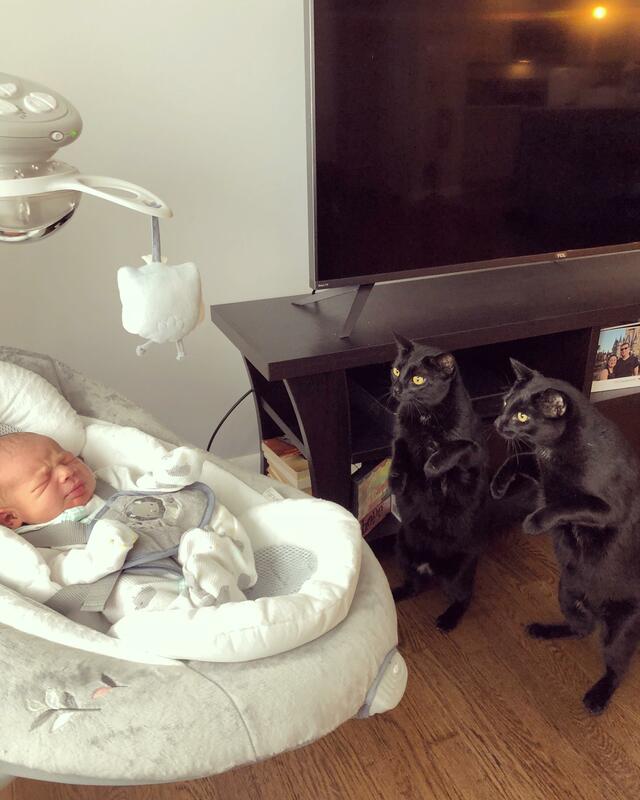 I worry more for the cats around a baby, honestly – they’ve been known to be tail-pullers a time or two.